Don't forget your mouthguard! Our boil and bite mouth guards give you a custom dental fit in minutes. Available with or without tether in 3 color ways. 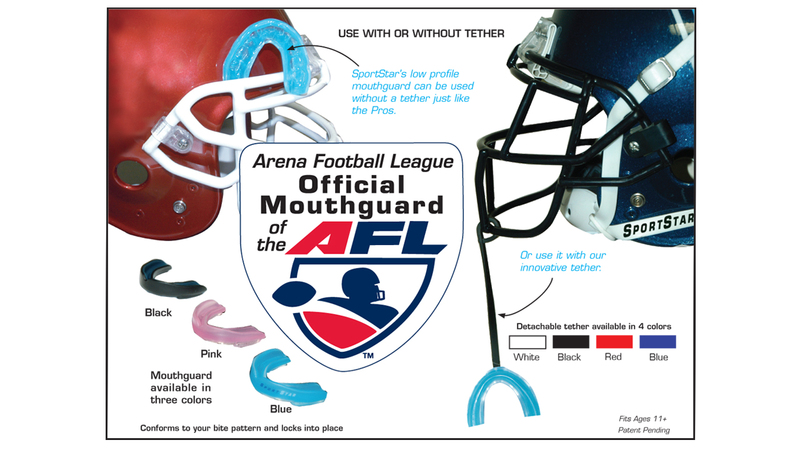 Official mouthguard of the Arena Football League. Play hard and play safe with a quality mouthguard from SportStar.